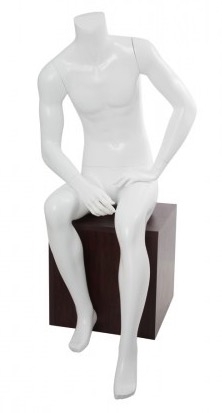 This glossy white headless male mannequin is seated with his hands in his lap. His laid back demeanor oozes effortlessness. 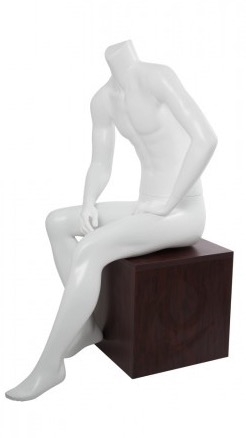 Perfect for cool guy displays. 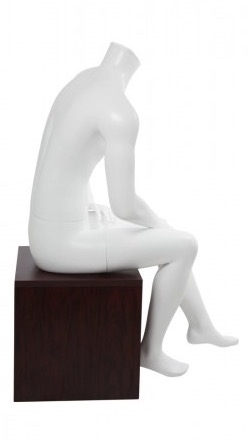 Made of fiberglass. 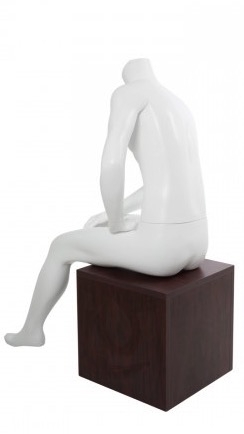 Base NOT included.